Best all seater for 6 on the market. The Curve series is a little pricey, but if you can afford it it's great value. There are so many helpful extras that make a difference to a better all round experience and easier water maintenance. We've got the 5 person Baron. Lots of room for 3 big ones and we can move the jets around each seat. The team at the store are very helpful and ther service team are very thorough. I had got great advice and left A5 with a degree in hot tubs. My advice back is - If you want to get a girl back to your house, buy a hot tub. But buy a hot tub which gets rid of fake tan. 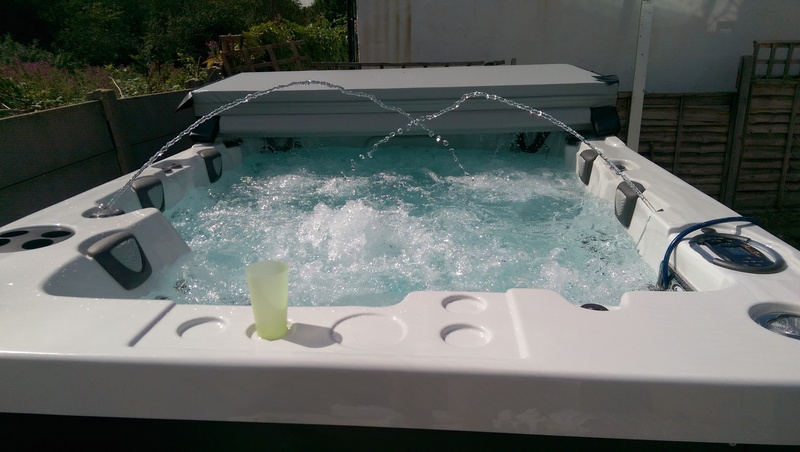 If you want advice on which hot tub suits you - go to A5. Thank You! I had no idea what to expect when we started looking and I'm pretty sure I wasn't even convinced I was definiely going to buy one. But when you get in to it it's an easy process. Your common sense and other buying experiences you may have had tells you to keep moving on and look at the next spa until your perception of value for money or your bank manager tells you when to stop. Trouble with us Is my wife has the final say and while usually she reigns me in when say i'm choosing say a car, this time, the first time she ever, she wasn't looking at the cost she was looking at the gadgets. She has never had any interest before in gadgets and now when we look at a hot tub she wants gadgets? 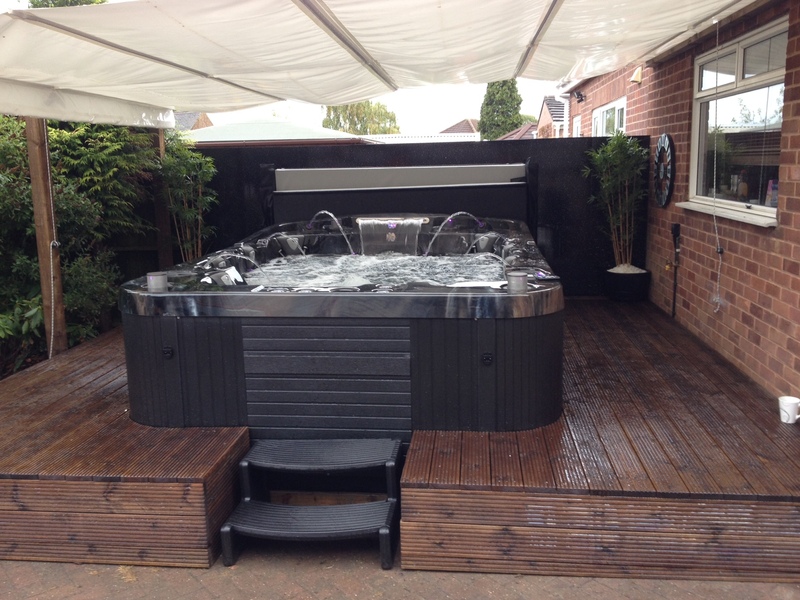 You get what you pay for normally in life and hot tubs are NO exception We chose from you guys because the choice was mind boggling. We walked around, you answerd the questions, we looked at the competition and made our mind up on what we needed rather than what everyone wanted us to buy. The hot tub selling world is a messed up place needing some regulation but we did find order and value for money buying from you. Very cheap to run and very quiet. Sitting outside this time of year with a glass of wine is fantastic. I would never have dreamed I'd ever be doing it. We have what turns out to be a great social hot tub. We went for a cedar surround cabinet so it blended in with our property. Great service with a smile from the fitters and the service team in the office. I know you didn't want a long review or story, but it's hard to review when there's so much everyone buying a hot tub needs to know. Our experience with you guys was a world apart from anywhere else and your potential customers need to know. We chose our Countess from a long list of possibilities. but until we found you it was a lucky dip. We spent ?6,000 and are over the moon with a Countess Coast Spa. Keep up the good work. We have ours under a nice African thatch round gazebo and it sits on a stone rotund we weren't using for seating. Well we're cerainly using the rotund now and we're using it for seating. Hot tub seating :) It is very quiet and i've not noticed the heating of it on our electric bill as yet. The jets makes loads of bubbles but to be honest i enjoy sitting in the hot spa and enjoying the silence. You painted the picture for me and now it's definitely as real as the picture. Smashing staff and Tom went the extra mile by coming out to see me. The jets are very impressive and when the jets are on at nightbthe lights look super douper. I knew it was an extravagant toy but using it most days has made it a formidable rejuvenation from a day of golf. I bought the hot tub for me and my girlfriend because my parents wouldn't buy one. They swore they wouldn't use one. Now the cheeky gits are in it every night when I'm out. Me and my girlfriend love it and when I move out it's defo coming with me and I'll make sure they come to you to buy one and make sure you give me my freebies for refering them! Cool waterfall which gives the hot tub a unique look. Great cleaning system and low running costs considering its size. Very quiet even though it has 3 pumps. It's next to my son's single story annex and he cannot hear it at night. Lots of seats each with a different jetting layout great lounger which douubles for a step in. My friends this is no ordinary Mirage. 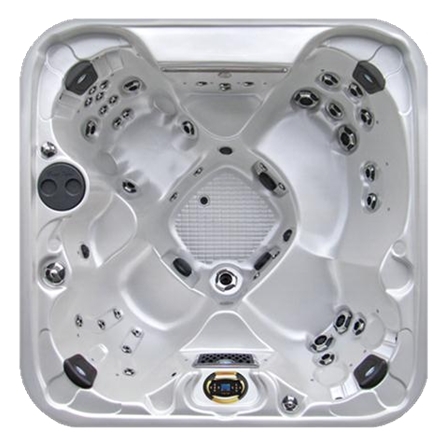 This a Coast Spas Mirage. The best hot tub in the world. The brochure says it is and I am telling you it is. If you can afford it buy one. This is the cr?me de la cr?me, the dogs, the mothership of all hot tubs. 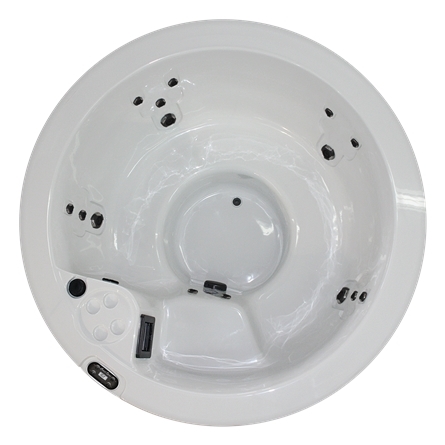 It seriously has everything you will ever need in a hot tub and will deliver you everything you will ever expect from a hot tub experience. ©2019 Award Leisure. All rights reserved.